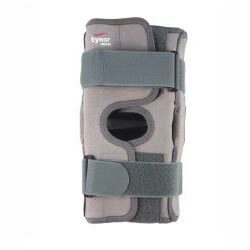 Functional Knee Support can be used to increase blood flow, provide extra support, and reduce pain. 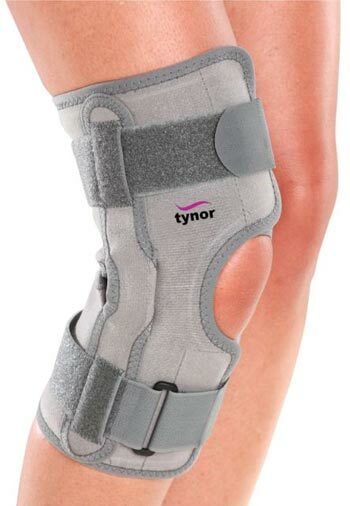 The bilateral support is for keeping the knee stable and preventing any unwanted movement that could re-injure the joint without hampering your flexibility. 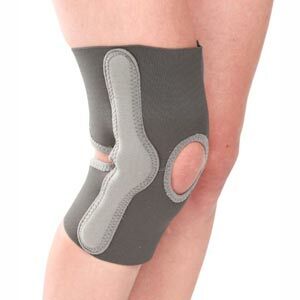 Recommended for sublaxating patellas and to help support unstable knees. 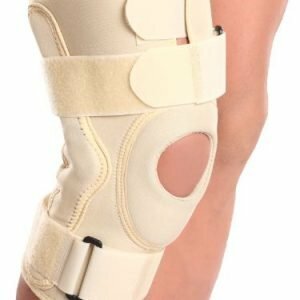 Functional Knee Support offers the advantage of controlled compression around the knee and a rigid lateral support and immobilization. It allows normal flexion and free movement of the knee joint. Because of front opening is convenient to apply and remove. Bi axial heavy duty aluminum hinge mimics the natural knee joint, ensures full weight bearing and allows free flexion movement. 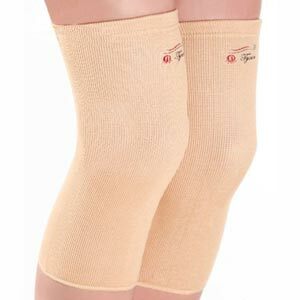 Four-way stretchable fabric provides controlled and comfortable compression but no buckling, or vasoconstriction. 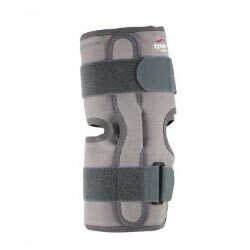 Open patella design release patellar pressure, hold the patella in position. Ergonomic design with anti-tourniquet straps, ensures no constriction to blood flow, but better grip of the product to the body. Anatomic construction provides better functionality and snug fit.